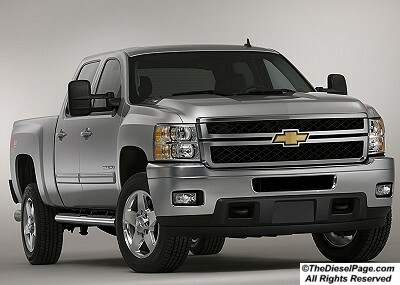 The brand new 2011 trucks will hit the dealer lots this summer. All new chassis, new brakes, new wheels and many engine upgrades - such as more power/tq and fuel economy. A full story (with more pics) will be available here in The Diesel Page in a few days! Thanks Jim. Nice lookin truck. MEAN! Bout time GM started making em look like trucks. Could have done more to get rid of that bumper, though. It's an improvement over the one's already on the road, but not by much. Nice to have mirrors that can compete with the other two on these latest trucks, too. If I could afford one, I'd order one in white! Here's the link to the new truck articles. The TT article on the GMC Denali 3500HD said it would maintain speed on a 16% grade even with a 12k trailer in tow... I wonder what GM will do for 2012? Maybe 405-hp??? I saw just today where GM is already promoting the 11s with 0% at 60 months.